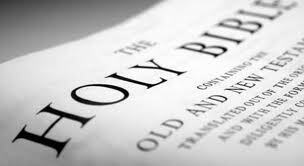 The WORD ALIVE BIBLICAL INSTITUTE which has started in 1991 continues to flourish in its relevance to the mission of the Church particularly in helping the laity grow in age and wisdom and to live favorably in the eyes of God and men. With its aim to promote an integral-formation approach to learning, the choice of course offerings and activities was done carefully so that in the end of the Institute (training), the participants shall have grasped the values of the Sacred Scriptures and commit themselves to live such values anytime and everywhere they are. Participants this year came not only from Northern Luzon. 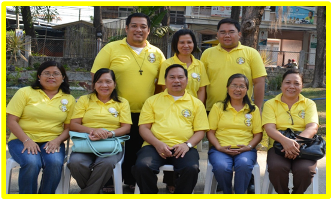 There were four (4) from Pakistan, two (2) from the diocese of Novaliches, three (3) from the diocese of Malolos, two (2) from the archdiocese of Caceres and one (1) from Iligan diocese added to the fifty two (51) participants coming from the different dioceses of Northern Luzon this time including Batanes of the Northern most tip of the country. The sixty three (63) participants slated according to their level attended lectures that would enable them to learn and understand the context and culture of the sacred scriptures and participated in activities that would enable them to enter into the Bible stories using their own faith experiences and stories. Added to the traditional topics of Level I such as Introduction to the Sacred Scriptures, Biblical Matrix of the Liturgy, The Lector and the Lectionary and Bibliodrama Workshop, Dei Verbum to Verbum Domini was offered to put in context the urgent need of laity's participation in the Bible Apostolate of the Church. The last course was also offered to the rest of the WABIns for a levelling off. The Fifth Gospel was also added to the curriculum of Level I to make the participants aware of the significance of exploring the Holy Land where Jesus was born, where he lived, and where he gave his life for us. Knowing the place and setting foot on the land will strengthen one's faith and conviction that Jesus is alive and God loves His people. 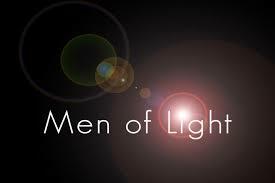 To the Level II, The Creed in the Light of the New Evangelization was added. It is a course which guided the participants in teaching the Creed with the use of a new approach Look-Listen-Love. Bishop Renato Mayugba, with his spontaneity and his power point presentations has surprised the participants with new information and gestures which will enhance their methods in teaching the Creed. The Demonstration Teaching and critiquing sessions made the participants ready to apply the new approach upon reaching their workplace. The topic "The Prophets" of Bishop Broderick Pabillo challenged the Level II participants to assert their prophetic mission in the present times where a lot of worldly issues are strongly confronting the Gospel values of the Church. To go into the mission means to be ready to suffer or die fighting the odds of the world. The Updating class had the topic Encounters of the WORD. When Bishop Rene and Father Ferdinand Maguigad drew them into the re-enactment of the encounter of Abraham, Moses, Joshua, and Gideon with the Word, the participants' experience left them wanting for more. They requested to have the course for one week at least. The Bibliodrama Workshop, Lectio Divina, A Bible Character on Stage, Easter Stations, Bible Sharing methods, Bible Enthronement and the daily Eucharist received wholehearted appreciation from the participants for according to them they have at hand pastoral skills, methods, and activities to work on in their parishes/dioceses and their families. To enhance the fellowship during the two week training, two counts of Happy Hours, a Pilgrimage, and Beach outing were scheduled. The travel, swimming, sharing, games, and laughter made the participants rejuvenated and alive for the rest of the WABI duration. To mention too, the community grouping which they had experienced trained them to be aware of the values of team work and Christian leadership. The WABI staff's patience and stewardship skills have been tested in this aspect because it is not easy to direct the matured and the learned. WABI 2014 ended with the Recollection and the Sending off Eucharist. Here, Bishop Prudencio Andaya made clear to the participants that to be in the mission is not easy. The lectures which filled their head and the activities which made them experience the richness of the Word will be challenged by the turbulence of the worldly issues which they will find as they go home to their work area, says Bishop Andaya. One by one, the Bishop enumerated the evils which they have to overcome. They are as big and strong as the wind and waves which the apostles have experienced and the very wind and waves which Jesus has silenced for them to reach the shore safe. According to the bishop, one has to hold on to Jesus and to His Word to keep one going in the mission. Never get tired, persevere in avoiding the enemies of good work, he said, for our reward will depend on the quality of what we do. Prayer is the best weapon whenever one is tempted to retreat from the mission. Assessing the evaluation sheets was next in the agenda. Majority gave the highest score to the course offerings and activities, professors / facilitators, and the venue. The participants from Pakistan mentioned their lot of good experiences and learning in the WABI. Participants from the Philippines are very grateful because of the richness of their learning and experiences. All the participants have requested that WABI be offered yearly and community life be planned better next time. 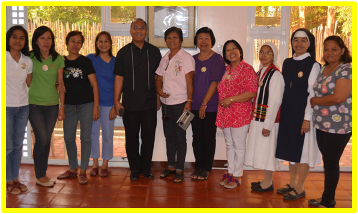 They had expressed their sincere gratitude to Bishop Rene and to his hard working staff. They also expressed their gratefulness to the benefactors of WABI that made the registration fee lower than that of the last WABI. 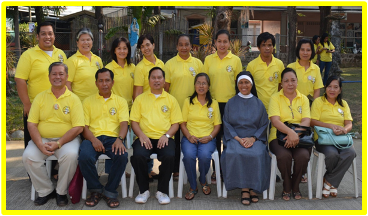 WABI 2014 ended with the hope that the 63 participants shall bear fruit in thousands and these thousands shall effect transformation in their work/apostolate areas, in the parishes/BEC's. That the fullness of life be experienced in love, joy, and peace which reigns in the hearts of men & women because of the Joy of the Gospel. So be it.